ARE YOU AFRAID OF HER? Shoya’s decided to do everything he can to make up for how terribly he treated Shoko, his former classmate who can’t hear. But more than the challenge of learning to communicate, it means facing a past he thought he’d left behind forever. Now a reunion with old friends will transform Shoya, and his relationship with Shoko. I have to say that I am feeling really good about the progress I am making this year. Especially when it comes to manga. I typically find a manga I like, read the first one to two volumes and then never come back it to. However, this has not been the case with A Silent Voice. Maybe it is this whole "New Year, New Me" but I think it because I am finding a manga that I really enjoy. We are continuing the story with Shoya and Shoko but now this more robust social circle is starting to take form. Shoya has made strides in hopes of making ammends with Shoko and how he has treated her. Taking a further step, Shoya tries to reconnect with Shoko's old friends but sometimes old friends are much different that you remember them to be. Although I am really enjoying this series, I did begin to wonder if there would be a time that I get to a volume that read slower than others and this was the one. Do not take this as being that I did not enjoy this one as other but this one had a lot more of character development that is crucial for the reader to understand more about what happened in the past and where the path to the future lies. The one thing I do have to say about this volume is we really got to see more of the secondary characters and their relationship with Shoko, both the good and bad. There is one character though that I do detest and wish would stay out of their lives, especially Shokos. However, it odes add a element of a interesting friendship that gives more to the story. Although we did get to see into these characters, I still believe that there is so much more depth to them. Overall, I was once again pleased with this story and have hopes of continuing the next volumes in the near future. 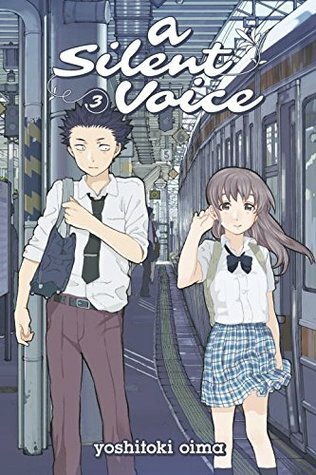 If you are looking for a light, manga that presents an important topic, A Silent Voice is the manga for you.